I speak with A LOT of RV Dealership owners, GMs and Marketing Managers about their marketing campaigns/strategy and one thing I’ve noticed is content and influencer marketing is severely under-utilized. I’ve also noticed that the dealerships who are doing a good job of this are very happy with the results and most are doubling down on their efforts in this area for 2019. While I’m writing this the sun is about to come up over the KOA that we’re staying at. We’re doing a marketing campaign for them that involves both Content and Influencer Marketing to grow the sales of this campground. I started reflecting on many of the ways we’ve influenced people to buy through our content or campaigns we’ve worked on for various companies over the years. Companies need content to connect on social platforms like Facebook, Instagram, Youtube, and Blogging. Influencer Marketing is one of the most effective and under-rated forms of marketing for the RV and Camping Industry. Rather than talk about how it works in theory, I figured I could just show you some real-life examples of how we influenced people to purchase stuff on Social Media, even examples of people who purchased $100k+ unit. Cool? My company’s main function is to increase sales for RV Dealerships and Campgrounds through social media marketing. We’re VERY good at it. We marketed to over 50 Million Campers on Facebook for RV Dealerships in 2018 and worked with some of the biggest brands. The business fuels our travels while the travel fuels the business. Aside from our main business where we provide Facebook, Instagram, Youtube and Blogging for RV Dealerships, Campgrounds, and manufacturers, there are a number of ways we’re able to increase sales for companies as influencers as Travel Bloggers. Influencer Marketing is really effective on Facebook. Through product placement, lifestyle videos using the product, promotional posts, or reviews are common. This is a straight forward product video that showcases the process from unboxing the SnapPads all the way through the install process. When you have a product that might be perceived as difficult to install but it’s actually really easy, a video showcasing that simplicity answers that “unasked question” from the potential customer. 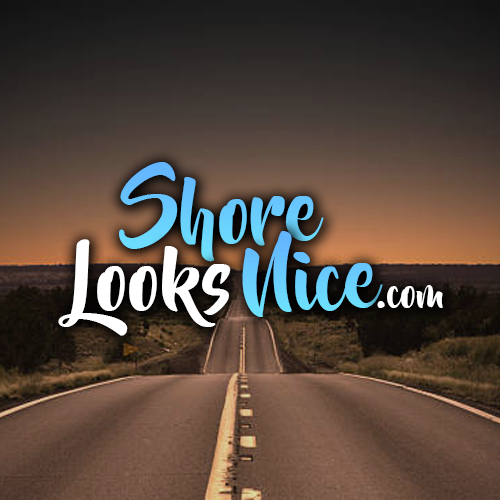 Check out the comments on this video post we created about our SnapPads that we posted onto our Shorelooksnice Facebook Page. We’ve had A LOT of people send us messages on Facebook and Youtube that this video caused them to purchase the SnapPads for their rig. I’ve been very impressed with the marketing team at SnapPad and expect they will continue to grow their business quickly. This is a cool product video where I head out and start a campfire with soaking wet wood using the Electro-Light Fire Starter. It’s a unique challenge that RVers and even traditional homeowners run into often to get the fire started. This is a great solution and again it shows the Benefits! What really helps increase sales is peer reviews/input. We want to know that real people who are like us, enjoy and endorse the product. Not only are we showing and endorsing the product (it’s awesome), but when you can get others to comment on the post/ad saying “it’s the bomb”, it helps to eliminate one of the biggest hurdles of ordering something online… Trust. If you want to sell something that’s cool, create a cool video! Backing into your campsite, putting the deck down directly over the water, fishing, and grilling your catch on the deck at sunset is a remarkable experience. Something that will grab attention and people will talk about. Here’s a win/win opportunity; take a product that most RVers could benefit from. The product gets a ton of exposure and the dealership gets a powerful campaign. We’ve had some contests go insanely viral. Take this campaign we worked on King Antennas. We did a giveaway direct from the manufacturer to the random winner. All someone had to do to enter is like the page and share the post. Roughly 50 Dealerships were able to participate in this contest and it had a large branding impact for King AND our RV Dealership Social Media Clients. Having authentic content derived from adventures that tell relevant stories to your brand is incredibly effective in creating a solid following. Go RVing has been telling stories on their blog for years through a variety of RV Content Creators and Storytellers. This was a special series I did for them where I went on various extended adventures and documented the route along with the activities. This particular Blog Post was an outline to experienced Southern California in an RV. It’s a very in-depth and detailed piece and adds real value to their audience. So people connect with Go RVing and the RV Industry through this type of unique content their team of storytellers creates. Comedy performs well on social media. People are logging into Facebook to be entertained or educated. They’re seeking that escapism and don’t want to be advertised to. When you provide the type of content the audience wants to consume they get don’t get turned off when you advertise to them. Often they’ll get excited if you’ve done a good job of meeting their entertainment needs while at the same time showcasing the benefits. This simple video of us pulling out of our campsite with our deck down and a creative caption to capture engagement EXPLODED for our clients. If you’re not entertaining you won’t reach a lot of people, period. Sometimes a company will pay for a single post to be put up on an influencers page. What they’re doing is essentially paying to tap into the views from your existing network of people who trust your endorsement. Take this post that we worked with Cummins on. They were doing a giveaway and wanted to offer some FREE Hats to our audience and get their name out there to be top of mind. Instagram is a major player in the social media spectrum. It’s also owned by Facebook which gives it Think of Instagram as a modern day photo book. Except instead of sitting on your coffee table it’s available to your friends and family, or maybe to anyone and everyone depending on your objectives. Take this post about giving our baby a bath in our Road Warrior 5th Wheel; It connected with someone who wanted to give their baby a bath while they traveled in an RV and now they have become owners the Heartland Road Warrior. Hey Heartland, we don’t need a commission check, let’s just work together on some more projects (eric@shorelooksnice.com). These guys are even part of the Heartland Road Warrior owners group! If you’re not familiar with Facebook Groups, they’re a fantastic way to connect and get answers in real time on questions about your rig. There’s been many times where I had a specific question about my rig or something going on with it and posted to the group and within hours had the solution to our challenge. One of the things Danielle claims is the best after-market decision we have ever made with our RV is purchasing an instant hot water heater. That’s allowed her to take her 45-minute showers or soak in a hot tub wherever we roam. Whenever we post about it we get a stream of comments and DMs (direct message) about people wanting to know more information about them or who have purchased because we inspired or introduced it to them. In case you’re wondering we have an Atwood instant hot water heater and it really has been a luxurious add on to our RVing experience. Ambassador programs can be great for companies because it’s a great way to push products with very little risk because most of the time they pay a % of the sales generated. Take this partnership we have with WeeRide. We LOVE their product and after we were happy customers we started working together. They are owned by one of the largest bicycle manufactures in the world, Kent Bicycles. The product is absolutely fantastic and since we’re raving fans it makes sense that we would help others enjoy the same benefits at a lower cost, and put a little money in our pocket too. So, anyone who purchases the WeeRide and uses the coupon code Shorelooksnice, they get 10% off and another 10% is given to us. Youtube is owned by Google and is also the 2nd most used search engine in the world. There’s a ton of ways to do influencer marketing on Youtube. Primarily you’ll find product placement in lifestyle videos or product videos themselves. Many of our videos showcase some pretty unique experiences that people are able to have in an RV. They’re real, 100% authentic stories from us and other RVers we run into on our travels. One time I ran into someone at a campground and had a fantastic conversation. He was an ex-national champion pro fisherman for many years. Due to some recent health issues, he has to be on dialysis. He didn’t want to wait until “someday” that may or may not come before he saw this beautiful country. So he had his wife quit her job and get certified to give him dialysis on the road, they bought a Toy Hauler to bring his motorcycle and give him a room to relax while getting his dialysis and now they’re enjoying the most awe-inspiring places in the country. It was very inspiring and we’ve had countless people reach out and let us know they’re in a similar situation and it’s inspired them to go after their dreams and fight through the challenge. Companies will often have a need to leverage people’s experience and knowledge to add value to their audience. It’s not just about having “content”, companies buy stock content all the time. That doesn’t usually connect with an audience as they can tell when they’re authentic context around a piece of content. Have you ever clicked on an article that was supposed to give you some tips or insight about RVing when in actuality it was written from someone who sits in an office who probably has never been on an RV Trip? You clicked on that article because you wanted to be entertained or educated, you wanted it to add value to your life. If a company wastes your time by providing garbage for you to consume they will stop consuming that companies’ content. When Facebook sees that people don’t love your content they stop showing it to a lot of people. Facebook needs people to enjoy logging into their platform because the competition for attention is fierce. Make no mistake about it, we are in the game of ATTENTION! When we started travel blogging we were ECSTATIC if someone offered to have us write a blog for them with no pay just to get a mention of our travel blog. Now we consistently have companies paying us $300-$500 per blog post. Although after Full Time Travel Blogging for almost 5 years we have a lot more value to add to our clients that we use to. We have the content, the context, the stories and know how to write it in a way that showcases the benefits to our client’s audience (Features tell but Benefits Sell). One of the major players with the RV Rental business is RV Share. If you’re not familiar it’s a peer to peer platform similar to AirB&B but for the RV Industry. It’s a great option for people who don’t want to tie themselves into a long term commitment of buying or maybe they want to try out RVing to see if it’s for them before purchasing one. They asked us to produce a blog post talking about the RV Rental business and of course mention how they fit into this aspect of the RV Industry. It’s important as influencers that you stay in your lane and only endorse companies you believe are adding value to your audience. I have avoided using our blog to write for companies for 5 years but with RV Share we’ve been a fan of theirs for years and I had planned on writing a blog about this topic anyways. I wrote a blog post about an experience I had where lightning had struck 100 yards away from our RV and sent a large branch through the air. It landed just a few feet away from our RV. It got me thinking what would happen if an RV was struck so I dove into extensive research and got my answer. An expert Lumberjack in the Dallas area called the “Chop Doc” was looking to increase their ranking in Google by utilizing links to their website. So we created a link that sent traffic of people who wanted to know more about managing tree cutting before or after a storm comes through to his website. Companies NEED content that performs to connect with their audience. Since you’re not going to get that from sitting in an office it’s a good idea to outsource that to professionals. But here’s the big kicker, traditionally companies would pay a marketing agency A LOT of money to head out into the wilderness or somewhere scenic to shoot a commercial or capture images whether it be for TV, Magazine, Social Media or some other usage. When you hire a Travel Blogger they are already in a position to travel with limited expense, great cutting down on the cost for our clients. With the technology to capture, edit and deliver content remote; it’s never been a better performing and financially smart decision to purchase content from travel bloggers like ourselves. We’ve been selling pictures and videos of our travels to companies like Camco, Go RVing, and many more for years. Sometimes we’ll get requests for a specific type of an image but usually, it’s more cost effective for a company to buy a large batch of lifestyle content. Campgrounds have a HUGE advantage on social media compared to most businesses because it’s so attractive to travel and go camping. It’s fun, comfortable, wholesome and adventurous. Seriously think about it, it’s so easy to promote fun at a campground. The goal to increase sales is to make it easy for someone visiting your social media or website to know exactly what they can experience if they book with you. Campgrounds are notoriously terrible at this. Here’s a good start, capture the top 5 features at the campground and the top 10 activities in the area. Then build posts out focusing on the benefits of those features/activities. If you can do a good job of this you’ll have a good base of content to show someone what’s possible for them if they book with you. Then make sure roughly 20% of your posts include an offer or a call to action to make a sale! We burst the sales for the North Myrtle Beach RV Resort while we did a stay and campaign with them. In 6 months we marketed 782,793 times for them via Facebook. Do you think that would increase your campground bookings lol? We’ve put together a step by step system for Campgrounds to do their social media themselves and CRUSH IT! Right now we’re running a special so if you’re a campground you will want to click here. If you’ve been looking for ways to work with someone who has the experience, is budget-friendly, and knows how to produce results through influencer marketing; contact me today.